Following the news of “Siren’s” premiere as the No. 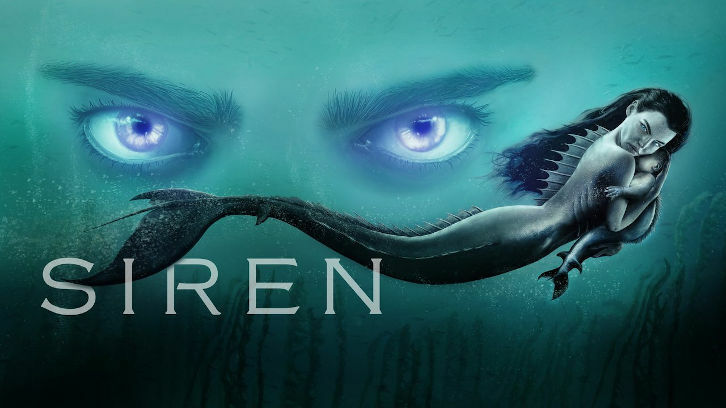 1 new cable drama with young women (18-34 and 12-34), Freeform announced a second season pickup for the mermaid thriller, whose season one finale airs Thursday, May 24th. The network also added six more episodes to next season’s order, up from ten this season. “Siren” is an epic tale about the coastal town of Bristol Cove, known for its legend of once being home to mermaids. The arrival of a mysterious girl, Ryn (Eline Powell), wreaks havoc on the small fishing town as she proves the folklore true. Using their resources, marine biologists Ben (Alex Roe) and Maddie (Fola Evans-Akingbola) must work together to find out who and what drove this primal hunter of the deep sea to land and if there are more like her. Xander (Ian Verdun) is a deep-sea fisherman looking to uncover the truth and Helen (Rena Owen), the town eccentric, knows more than she lets on. Eric Wald and Dean White co-created the story and serve as executive producers along with showrunner and executive producer Emily Whitesell. Brad Luff, Nate Hopper and RD Robb are also attached as executive producers.